What is a Telescope Filter? Like a photographic filter, telescope filters enhance details and improve contrast. They do this by cutting out unwanted colors, or wavelengths of light. Professional astronomers may use filters for technical observations, such as classifying stars. 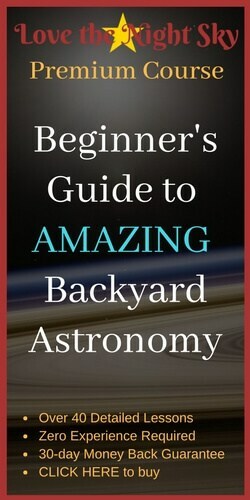 As backyard astronomers, we're more interested in getting a clearer picture at the eyepiece! The most common unwanted light comes from pollution. Sodium vapor street lamps are a headache for any amateur astronomer who lives near a city or town. Despite their name, light pollution filters (Amazon link) are not a solution to all pollution, but they definitely improve your viewing. They work by blocking out the light from sodium lamps to improve contrast, but they won't block car headlights or the security light on your neighbor's porch. Each filter is coded according to the Wratten Number system. Named for its inventor, the Wratten system gives a number to each color (e.g. 80 for blue and 81 for pale orange). Each number is then followed by a letter which tells you how ​'strong' the filter is. Observing the moon is one of the most popular pastimes of any amateur astronomer. Anybody who has done this knows one thing, though: the moon is bright. The best solution is an adjustable, polarizing filter (see which one won our moon filter review here). How they work is explained in the video. Polarizing filters have two polarized surfaces. When you vary the angle between them, it reduces the light coming through by between 60% and 99%. Polarising moon filters, pass all wavelengths of light equally. This means contrast is not affected, but the dimmer light lets you see more detail. A less expensive option is a neutral density filter. It does the same job but is not adjustable. You might argue that blocking light should be a poor way to improve image quality. After all, you bought that pricey telescope with a 6” aperture exactly to gather more light! Well, in astronomy, there is such a thing as bad light. When you look through a telescope at any faint object, you see it in black and white. This is because it's not producing enough light to trigger your eyes' color-sensing cells. Knowing this helps us improve the contrast detail of faint objects. 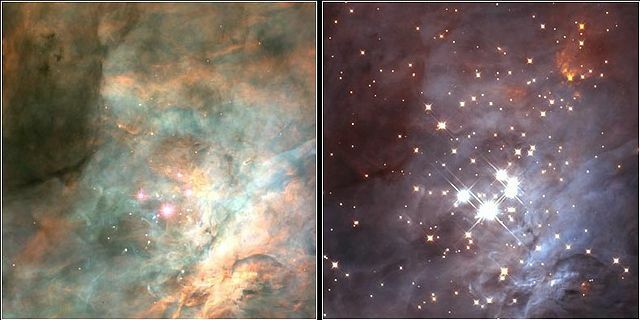 Some wavelengths of light coming from, for example, a nebula, do not add to its detail. If you remove them, the remaining image is much sharper and has better contrast. 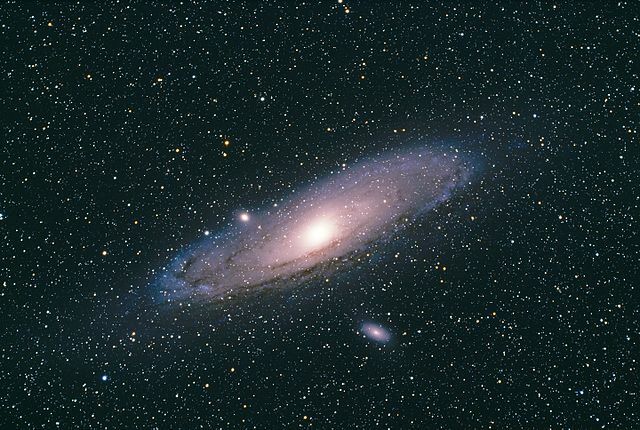 Telescope filters do just that: remove the light that adds no detail to the object. 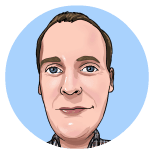 What you're left with is a much cleaner view, which lets you see finer details with better contrast. Different objects need different types of filter to see them best. Jupiter's Great Red Spot needs a different filter to the polar areas of Mars or the clouds of Venus. This list shows the most effective filter for the most common objects. 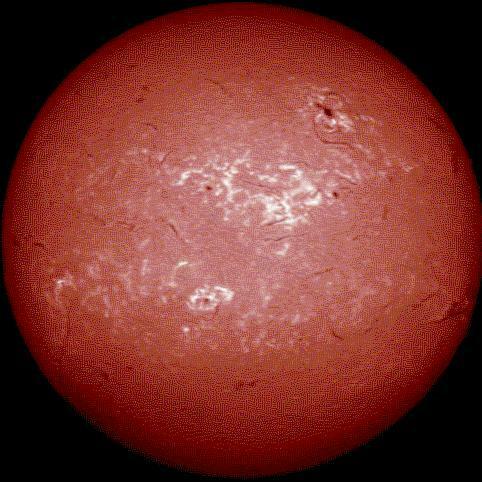 Astronomers use solar filters to observe the sun's surface. Sunspots and other solar phenomena, such as flares, can only be safely viewed through a telescope when the light is vastly reduced. In fact, the amount of light a solar filter allows through is about 1,000th of one(!) percent, such as in this metalized filter. Most filters screw onto telescope eyepieces, but not solar filters! Instead, a solar filter covers your scope's aperture. This way, you won't blind yourself when you change eyepieces. It also prevents your eyepiece, mirror or lens suffering damage from the sun's rays! Please: never, ever look at the sun through your telescope without a filter. It will cause irrevocable eye damage, including permanent blindness. That includes covering up your viewfinder too! Solar filters are a type of natural density filter. They reduce the amount of light coming through, but do not change its quality. To see details like solar flares, you need a special filter known as a hydrogen-alpha filter. By allowing through only the spectral lines of hydrogen, the sun's main gas, you will see loads more detail on its surface. We'll take a look in a little more detail at each one below. Chromatic aberration happens because lenses don’t treat all colors of light the same way. An image perfectly focused for blue might be a little fuzzy in red. We've explained chromatic aberration in some detail here. Chromatic aberration filters are designed to lessen its impact. By reducing the amount of violet light coming to the eyepiece (the most marked color in CA) they can improve your image. The effect can be subtle, so don't expect miracles, but it might be worth it. Check out t﻿﻿his con﻿﻿versation from the Cloudy Nights forum for more information. Another specialist telescope filter is the narrowband filter (Amazon link). We use narrowband filters to achieve precise views of faint objects like nebulae. These filters only allow narrow wavelengths of light to pass through them. The full visible spectrum runs from blue at around 400nm to red at 700nm. Whereas, narrowband filters might only allow 3nm﻿﻿ of light to pass through! This leaves only the light emissions of a given type of excited ion, such as hydrogen. Pick the relevant filter to see beautiful detail in your deep space object. Filters are a useful and relatively inexpensive equipment for your backyard viewing. Unless blessed with dark skies, a light pollution filter will be your best first filter. The next most popular filters are for observing the moon, followed by color filters for planet watching. If you're planning to make filters a useful part of your setup, then buy a set, because it's better value. Practically speaking, owning a filter set gives you options! Switch between filters in a single viewing to experiment with their effects first-hand. As with so many things in astronomy, there are big price differences between brands. This should reflect quality levels... if in doubt, reach out to a community like Cloudy Nights for advice. We also recommend joining an astronomy club﻿ near you for hands-on advice from fellow astronomers.